Stress is part of our lives, and we deal with it just about every day. There’s no escaping stress, whether your issues are due to relationship problems, health problems, financial worries, job-related difficulties, or something else entirely. Instead, we need to learn to manage it so we do not end up eating for stress relief or letting it take a long-term toll on our health. And the good news is that recent research suggests there’s a natural way to combat stress that also improves our blood sugar levels: mindfulness practice. The study, which took place at Pennsylvania State University in State College, found that employing mindfulness techniques is more effective at lowering both stress and fasting blood sugar levels than taking health education classes.1 The researchers sought to compare these two approaches and their impact on the health of 86 adult women who were all either overweight or obese. The subjects were randomly divided into two groups. One group attended eight sessions of mindfulness-based stress reduction (MBSR) training once a week led by an instructor. They focused on learning mindfulness meditation and breath awareness practices to employ when they were feeling stressed. In the meantime, the other group attended eight weekly health education classes led by a registered dietitian. They explored interrelated topics including exercise, diet, health complications related to excess weight, and tools for stress management. Prior to the beginning of the investigation, all of the participants reported their perceived stress levels based on a scale of one to 10. Then, after the eight weekly classes and another eight weeks of using the techniques they learned at home, the volunteers were asked to rate their stress levels again. Those who practiced MBSR had a considerable average drop of 3.6 points in the 16 weeks, while those receiving health education only decreased by 1.3 points on average. In both of the groups, the women experienced better moods, less psychological suffering, and fewer problems sleeping. But here’s where it gets interesting. When the researchers took blood samples to test for various health changes, they discovered that fasting blood sugar levels were improved in the MBSR group and not the health education group. And interestingly, this decrease occurred at the eight-week point after only training had been completed and remained in effect after the second eight-week period of home practice. What’s more, the dropout rate among those in the health education classes was significantly higher than that of the MBSR group. Only 59 percent of those taking the health classes stuck it out for the entire eight weeks of training, compared to 83 percent of those learning mindfulness techniques for eight weeks. This might suggest that, although learning how to improve your health is very important, many people are aware of what they should be doing but simply don’t want to do it. In contrast, mindfulness may not be something everyone is familiar with, and the opportunity to take a novel approach to health can be appealing, especially if you’re seeing positive results along the way. While this study was very small and used a limited population pool, which detracts from the strength of its findings, the overall point that mindfulness can be very beneficial to our physical and mental well-being should not be lost. And unlike many of the pharmaceutical medications doctors will often prescribe to help you get high blood sugar levels under control, mindfulness has no side effects or potential downside. And let’s not forget there are other natural ways to lower blood sugar levels too. 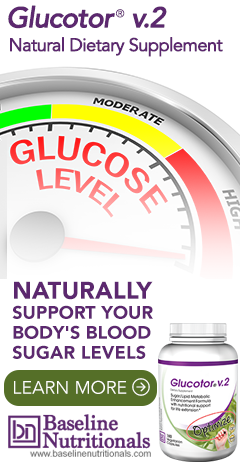 A natural formula containing ingredients including nopal cactus and konjac mannan, such as what Jon Barron describes, was shown in a study at Fenestra Research Labs to improve blood sugar levels by an average of 54.4 points. Taking a natural supplement such as this daily and introducing a routine of mindfulness techniques may together bring you the best of both worlds for stress relief and overall health enhancement. 1. Raja-Khan, Nazia; et al. "Mindfulness-based stress reduction in women with overweight or obesity: A randomized clinical trial." Obesity. 7 July 2017. Accessed 16 July 2017. http://onlinelibrary.wiley.com/doi/10.1002/oby.21910/abstract.